Still early stages yet, but looking at places to stay etc. Winter is just starting to set in. Tropical Island starts sounding like a good idea etc. That looks good any time of year. Is that where you got married? Was it last year?? Oh, I'd love to go! I want to visit every inhabited island group in the Pacific before I die. So far-- only been to one. . .
Rarotonga is nice. Only has ~13,000 residents. No big developments or businesses. But it's big enough to have all the basic amenities, and tourism is the main industry, It's pretty tourist and family friendly there. Yep. One of these days! OK, rental house is booked, but it's not till later next year. Got to get through 2 winters first. Place looks nice Sth coast beach front AND a pool was a bit more than our budget, but we can handle no pool if you have the lagoon in front of the house. Knowing the island now, and the agent that's renting the place, we are happy that it will be nice. It will have ants, hermit crab and lizards of course, and a stray dog, but that's what you expect. Just got to save some $ now. That looks awesome!! Now I've gotta look up Rarotonga..... About every February I have to go south for my dose of Vitamin Sea!! I think there are some Air New Zealand flights from LA to Rarotonga now. 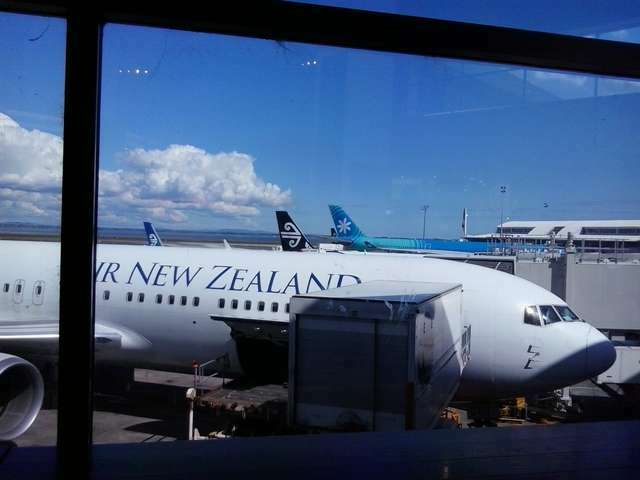 Before that you had to fly through NZ, and then backtrack 4 hours. I'll bet flights there are a little pricey, but definitely a candidate for the ole bucket list!! Warm, beach, and not many people... Just what I like!! Nice place, my wife was born on the island funnily enough! We got married there as well, good place for it! We were much the same, we thinking of the things to do next time on the flight home! Woodmizer LT40 Super, Treefarmer C4D, CAT 528 swinging grapple, 10ton wheel loader. Justin, even with being twice already, there are still things we haven't done, like the sub and going to the museum - these are on the list for this time round. Me, I'd be quite happy to hire a scooter and do laps of the Island with my sister. The island looks nice, really nice, are there good months or is it good weather year around? What would the cost average in US Dollars? 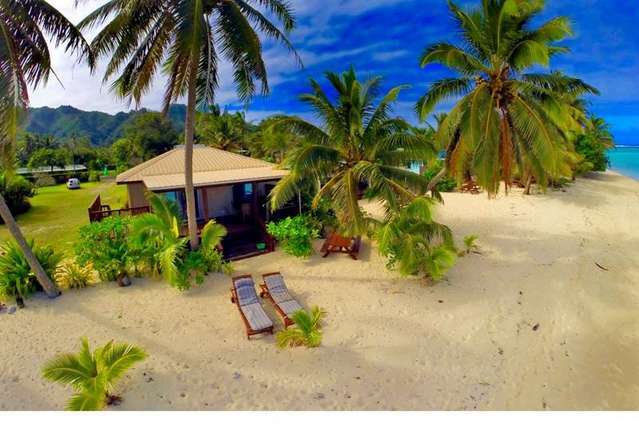 Just had a look on the Air NZ web page, cost about $1,000 US per person for LA to Rarotonga return if you book well in advance. Make sure you choose the days that have the direct flight, otherwise it's fly to Auckland and then double back to the Cook Islands. Accommodation and food varies. Backpackers to ~4 star, priced accordingly. We rent a nice little private house on the beach, get food at the supermarket, and hire a car so the costs while we are there are pretty reasonable. It's "Winter" there now, which means the temp might dip below 20C at night. Means you might want to take a sweatshirt, and a raincoat. 45 days till we go, so it should be warming up a bit. T-shirt weather, and warm enough that you don't worry when it rains on you. What I liked about the clip was being able to ID the actual spots where it was taken. Lil watched and said "that's were we took those pics in my wedding dress". The boats with people swimming around them are Capt Tama's glass bottom lagoon tours that we have been on etc. So it's not some phony tourist commercial, that's what the place does actually look like. Not sure if I've posted this one, but it's good for a laugh. This is house we are renting. Colour might have been boosted a little, but distance to the beach is about right. Looks beautiful. Only problem is that apparently they also drive on the wrong side of the road. Got my sandals, board shorts, couple of T-shirts, snorkel gear, underwater camera(s). So pretty much good to go. I'll bet the entire family is pumped and ready to go!! Probably last post before Rarotonga. Be there in ~24 hours. Quick check in while we eat breakfast. Right, off to pack up the car. Got in at a more sociable 9pm local time. Means there is someone at the rental car desk. On the 1am flight, they just leave a car in the carpark with your name taped in the window and the key under the mat. Just waiting for everyone else to wake up. Sun is coming out, and I'm sure the kids will want to go paddling in the sea as soon as they wake up. Local wildlife. This is in the lagoon in front of the house. Not a prime dive spot, but actually a fair number of fish to see. WOW, stunning. I dove for most of my life and sometimes I miss it ! Nice. makes me all the more exited for Lindy and I's trip to Belize at the end of Oct. Not going to the coast though but it's only 1 1/2 hour drive away. Belize is a pretty small country. Dinner and show last night with local music and dancing. You are having too much fun Ian. Only if it kills him. View from the deck tonight. Paddling around in waist deep water in front of the house this afternoon. I count 9 fish in the picture. I was just sitting there for maybe 5 minutes until they started to ignore me and swim around normally. I see nine of them too. Didn't take me five minutes to count them though. Lots mre pics to post but wiĺl do that after we get home. Have the time and bandwidth again. Vacations are nice and we are always sad when they end but there's no place like home. Going through and backing up all the camera memory cards, sorting and editing pics etc. Watching the sunset with Lil at Blackrock. Lil making out like she is a craft beer expert. Enjoying some of their product at Sails Restaurant looking out over Muri beach. Seafood platter for 2. Curried Octopus, grilled mussels, scallops, prawns, seared marlin steaks, ika mata (raw yellowfin tuna marinated in lemon and coconut cream) and some assorted stuff to fill in the gaps. That platter would have confused me. Me too MM, but I'd still love to eat it! But this is a little video clip from snorkelling in the lagoon in front of the house. Had to go out maybe 100m towards the reef where there was live coral in the lagoon. But no shortage of fish. Ianab...spent 3 weeks in NZ. Fantastic Country. Loved Christchurch, Rotorua and the boiling mud pit cooked dinners. Cook Islands is technically another country, but it feels like a warmer and much more laid back version of NZ. Our next trip, which we have just booked is a Road Trip around the South Island. Pretty much all of it, in 3 weeks, over Christmas and New Year. I'll start a new thread when we hit the road for that one is it should have some pretty amazing pictures. Scenery around the South Island is some of the best in the world. Sneak preview - this place it on your itinerary. Forgot to mention the "D B Dark" good stuff.